Peonies have been my favorite flowers for years and years and years but I've never had a bouquet of my own until this week. I have been missing out in such a big way. Peonies are so perfect. You know when you smell flowers and you're just doing it because that's what society or whatever has conditioned you to do and there's no real smell there at all? Peonies are the opposite. 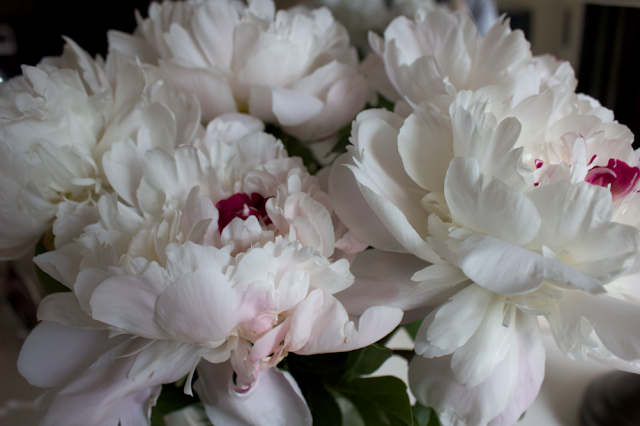 Peonies make everything smell like peonies. 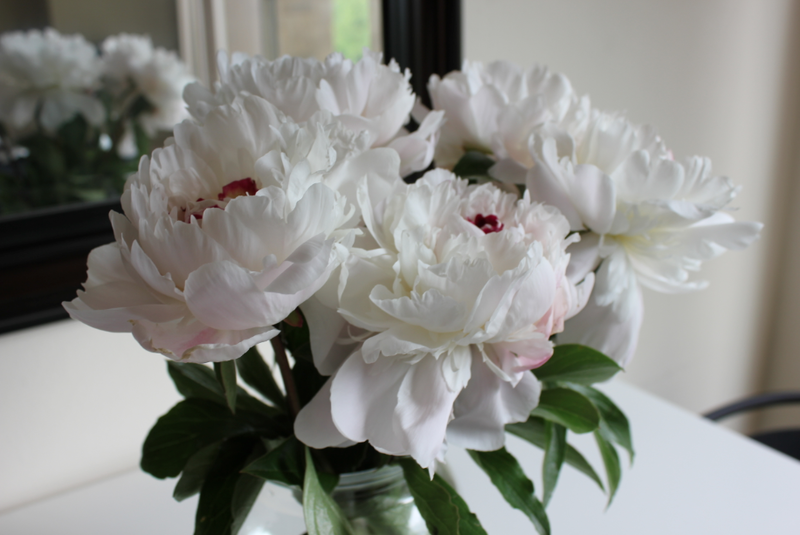 I also have a personal grudge against wimpy filler flowers and there's just no need to even consider bothering with those with peonies. My boyfriend asked the flower shop for "every peony you have" which was eight and I had to split the bouquet into two separate vases because 8 stems was just out of control in one vase. How are roses the go to favorite flower when these things exist? I can't believe these things are just going to die on me in a few days. I should just stick to buying flowers I hate so I won't feel hurt on a personal level when they die and I just have to throw them in the trash with all the Fiber One wrappers and toilet paper rolls and disposable razors. It's all carnations and baby's breath from here on out. 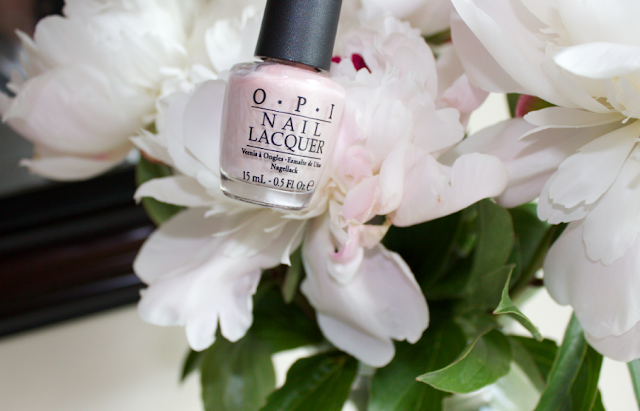 It just shows how into nail polish I really am that I had to grab my bottle of OPI Play the Peonies from their Summer 2010 Nice Stems! collection and see if the color lived up to it's name. Pretty accurate, right? I could probably make an entire blog holding different colors of nail polish up to their namesake items. OPI Hands Off My Kielbasa next to the Ukrainian sausage at Christmas Eve dinner. Revlon Bonsai next to my dad's mini tree collection. Essie Penny Talk next to all the change I dig out of the bottom of my purse. OPI Crown Me Already next to a photo of me. The possibilities are endless. I will probably sue you for all you're worth if you steal this idea.